What’s New at the Master Gardener Demonstration Garden? By Brent McGhie, UC Master Gardener of Butte County, May 18, 2018. The Butte County Master Gardener program began in 2008, and in 2013 the organization formed a partnership with the Patrick Ranch Museum. 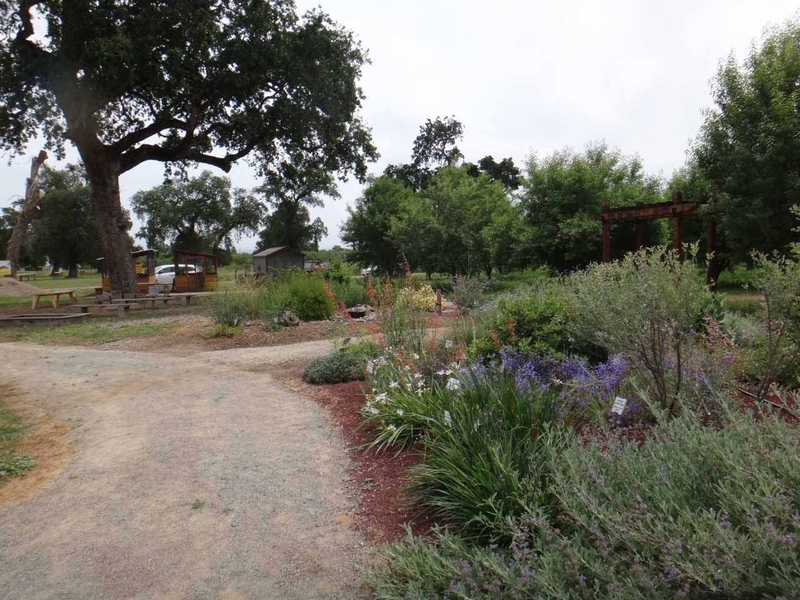 As a result of this partnership, the Patrick Ranch Museum dedicated about an acre of land for the Master Gardeners to develop a series of gardens that demonstrate sustainable gardening practices and highlight climate appropriate plants for the home gardener. Most of California, including Butte County, is in a Mediterranean climate zone. From a global viewpoint, Mediterranean zones are relatively uncommon. In addition to California, Mediterranean climates exist only in limited areas in Chile, Australia and South Africa and around the Mediterranean Basin. These areas have a climate that is characterized by hot, dry summers and cool moist winters. It is our hope that by showcasing California natives and other plants that are adapted to this climate, we will inspire local gardeners to incorporate them into their landscaping plans. Master Gardener Kay Perkins has headed the Demonstration Garden project from its inception. She says “… a drought tolerant garden does not need to be rock and bark chip and cacti; you can have a beautiful garden that will attract wildlife as long as you choose native and Mediterranean plants that are adapted to our hot summers.” Click here for a list of Climate Appropriate Plants. By 2016 the Master Gardeners had designed and planted a Mediterranean Garden; two Native Plant Gardens; a Backyard Fruit Orchard; an Espalier Fruit Tree Garden; and a Butte All Star Garden comprised of hardy, low water favorites of local gardeners and nursery personnel. Since then these gardens have filled in dramatically and are especially colorful and verdant at this time of year. In 2017, Master Gardeners installed an herb garden within the Backyard Fruit Orchard and in the early spring of this year we planted a Summer Dry Garden. The Summer Dry Garden consists of plants that, once established, should be able to survive with just the water provided by winter rain. This garden should be a great resource for those who want to keep water usage at a minimum! Our most recent addition, just completed on May 9th of this year, is the Berm Garden. To create this garden, we built a retaining wall with repurposed material and backfilled it with topsoil. The resulting artificial embankment illustrates an effective alternative method of landscaping when you are faced with poor soils. The Master Gardeners are also pleased with the progress of our garden infrastructure. In addition to installing all of the irrigation lines for the various gardens, by 2016 the BCMGs had established a primary pathway through the gardens. It consists of packed gravel topped with fine crusher dust, which provides a firm, smooth, yet permeable walkway for garden visitors. A construction class at Butte College built a small office/tool shed for us on the garden grounds. 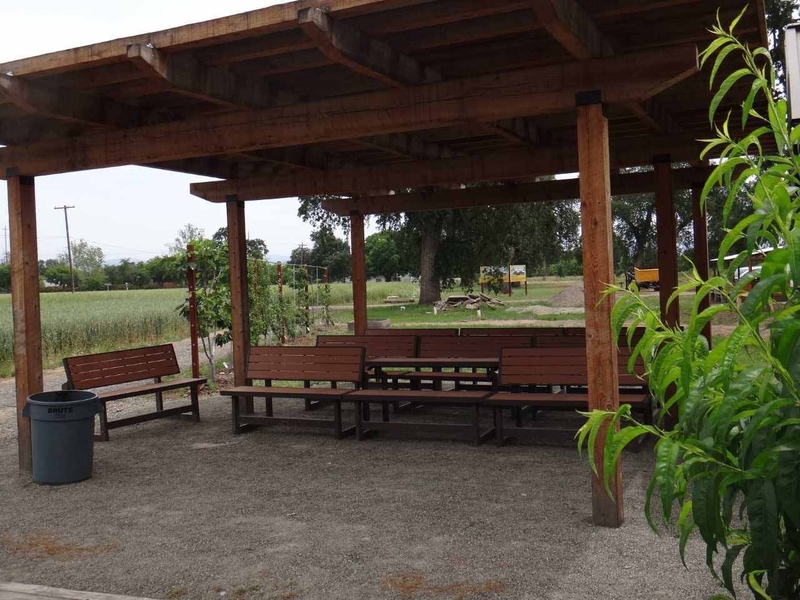 Last fall, we constructed a shade structure behind the office building and this area now serves as an outdoor classroom for many of the educational workshops offered by the Master Gardeners. This spring we extended the gravel paths around all of our existing gardens and also built two large arbors over the entrances to the Demonstration Garden. The Demonstration Garden is a work in progress. Plans for this fall include creating an Edible Landscape Garden featuring raised beds and a garden plot showcasing drought tolerant grasses that can be used as lawn alternatives. An Australian Garden featuring plants from “down under” is planned for the fall as well. A Children's Garden, where we will host educational activities and special events for youth is still on the drawing board, as is our Living With Oaks Garden. Oak trees are most compatible with shade tolerant, summer dry plants and we want to encourage gardeners who are lucky enough to have oaks to grow appropriate plants beneath them. Finally, in the not-too-distant future, a Honeybee Discovery Center is also planned for Patrick Ranch. This unique museum will be built adjacent to the Demonstration Garden, and the Master Gardeners plan to create a Pollinator Garden for this facility. Master Gardeners are a volunteer organization, so all costs associated with plants, materials and labor that go into creating the Demonstration Garden are dependent on donations from individuals and local businesses, fundraisers, and countless volunteer hours. However, it's a labor of love and we encourage you to visit the gardens for landscaping ideas, or simply to enjoy the pleasant, tranquil garden environment we are establishing. The gardens are accessible for viewing whenever the Patrick Ranch Museum, 10381 Midway (between Durham and Chico), is open. Although Master Gardeners do not have regularly scheduled hours at the Demonstration Garden, they are often there planting and maintaining the grounds and are always happy to answer any questions you might have. Many of our educational workshops also take place at Patrick Ranch and workshop attendees often tour the gardens while they are there. For more information, please visit our website at: ucanr.edu/sites/bcmg. Garden questions can be directed to the Master Gardener Hotline at 530-538-7201. 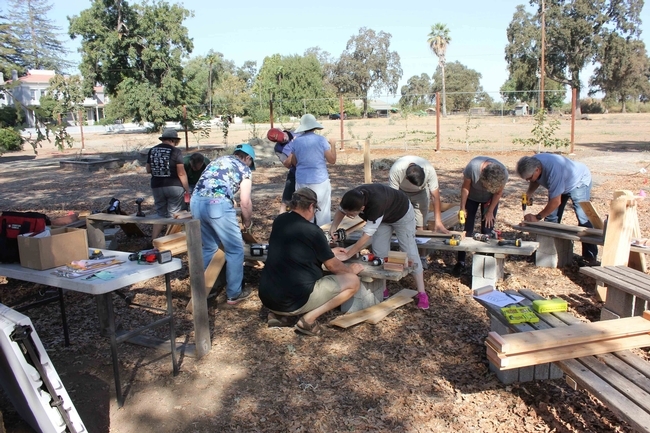 If you would like to support the Demonstration Garden and other Butte County Master Gardener educational projects, you can make a tax deductible donation here. By Alicia Springer, UC Butte County Master Gardeners, August 11, 2017. We Californians understand the concept of summer dormancy: “Those hills aren't brown, they're beautifully golden!” We know that the cycle of seasons plays out a bit more dramatically across our hot, dry countryside than in locales where the landscape stays predictably green throughout the summer. The dog days of summer are a muted, in-between time in the native garden. Dry-climate plants have developed strategies for coping with high summer, whether on a rocky ledge in the foothills or in your back yard. Spring-blooming species stop producing new flowers and greenery and put all their energy into seed production. Late bloomers haven't yet hit their stride. Once-vibrant foliage looks faded and the vivid flowers of spring are a memory. Even long-blooming garden favorites such as sages, buckwheats, and sunflowers might take a breather from profuse flowering, and resume blooming when temperatures are a bit milder. This doesn't mean that the late summer native garden lacks beauty or interest. To a native plant lover, the architectural punch of a milkweed pod bursting with silky seed is more than a match for the pink and orange zing of a zinnia. The deep red of a manzanita branch, revealed as the dry outer bark peels away, is as rich as any rose. Our native garden selections show off their wild origins with a more natural effect than conventional garden hybrids bred for tidy flower production, but native plant enthusiasts embrace and accept a wilder aesthetic. 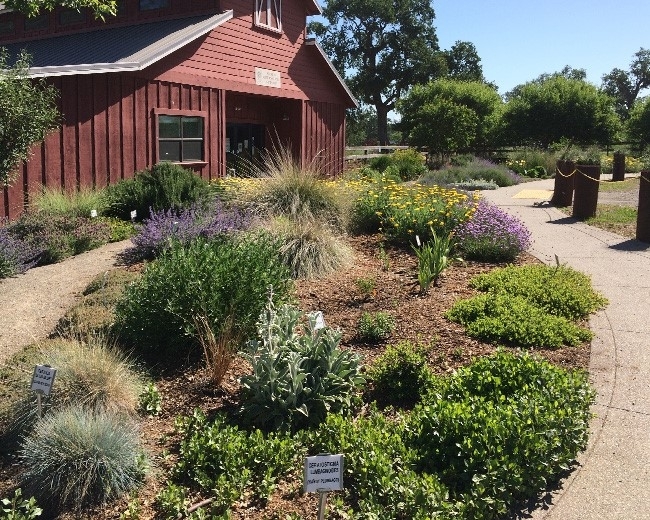 A visit to the Butte County Master Gardeners Demonstration Garden at the Patrick Ranch shows how various species hold up through a valley heat wave. Both the California Native garden and the Native Habitat garden are zones planted solely with natives, and natives are incorporated into several of the other garden zones, including the Mediterranean garden and the Butte All-Stars. How do they look now at the height of summer? The California Native garden's collage of green, silver, and tawny shades; the varying heights and textures; and the abundant sprawl of stems, branches, and seedheads make a pleasing whole. Some specimens in the two native gardens look positively snappy—the manzanita ‘Louis Edmunds' (Arctostaphylos bakeri ‘Louis Edmunds'), the redbud (Cercis occidentalis), the ceanothus ‘Blue Jeans' (C. maritimus ‘Blue Jeans'), the canyon sagebrush (Artemisia californica ‘Canyon Gray'), and the coffeeberry ‘Eve Case' (Frangula californica ‘Eve Case') all look like their answer to heat is “no sweat.” The deer grass (Muhlenbergia rigens) and California fescue (Festuca californica) still look pretty lively and illustrate why grasses are indispensable garden features. Bees are feeding on the fragrant pitcher sage (Lepechinia fragrans ‘el tigre'), the snowberry (Symphoricarpos albus), and the goldenrod (Solidago velutina ssp. californica), which are still blooming a bit; soon the California fuchsia (Epilobium canum) will begin to bloom, pleasing the hummingbirds. Most other species in the two native gardens look exactly as they should right now, exhibiting varying degrees of browning leaf edges, a mix of fresh and dried blooms, seedheads (some left unclipped for the birds), and fresh-to-fading greenery. 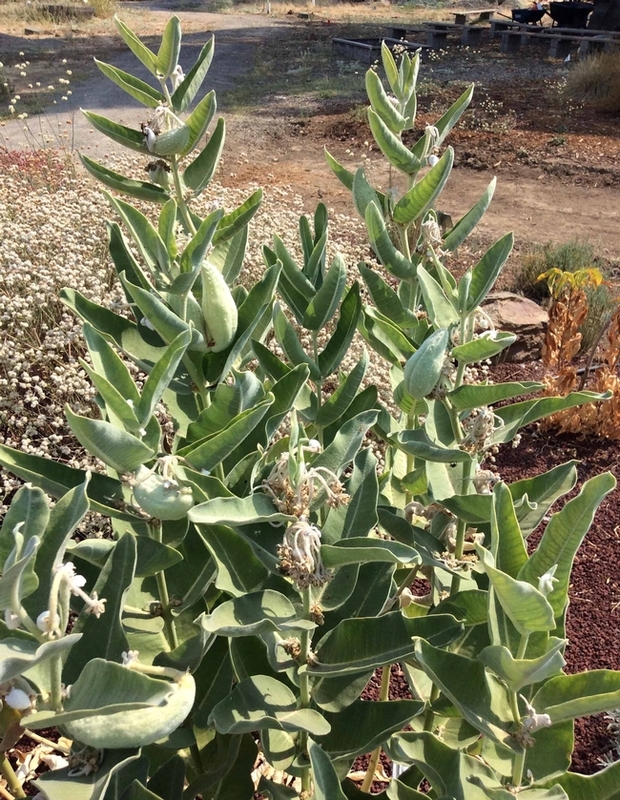 The showy milkweed (Asclepias speciosa) and narrow-leafed milkweed (Asclepias fascicularis) display fat and burst pods, respectively. The wilting California rose (Rosa californica) is left un-deadheaded so it can develop its tiny hips. There are several different species of penstemon in the two gardens, with bloom times ranging from early spring to midsummer; they have finished flowering for the season, but are holding on valiantly to await another summer. The snapdragon bush (Keckiella antirrhinoides), coyote mint (Monardella villosa) and gum plant (Grindelia camporum) are well on their way to complete dormancy, right on schedule. 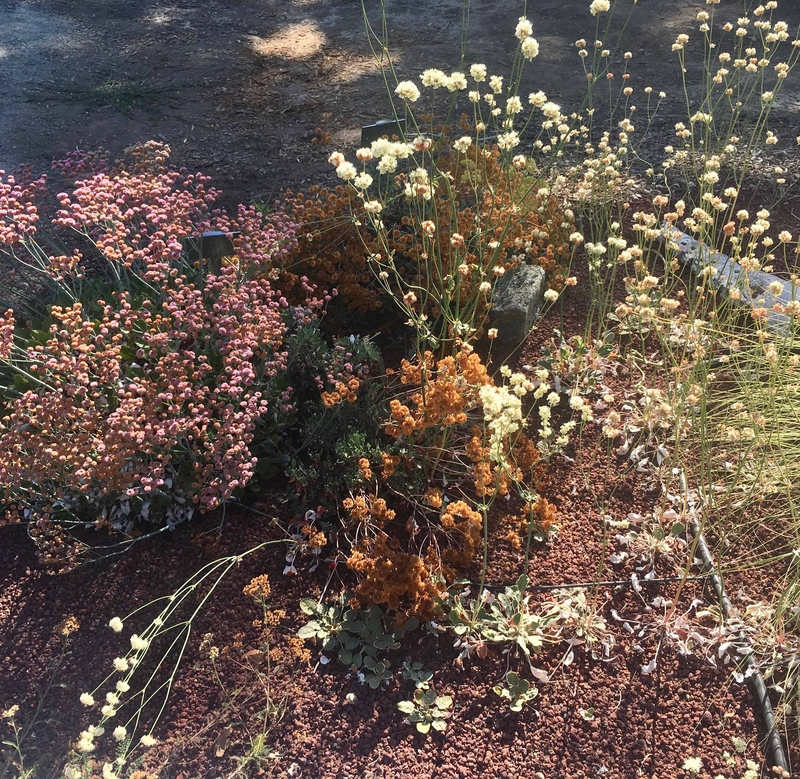 One corner of the California Native garden shows to advantage many different buckwheats (Eriogonum), which maintain striking good looks. The California buckwheat (E. fasciculatum), still a mass of creamy pompom flowers, rises above three others: the sulfur buckwheat (E. umbellatum), its flowers drying and darkening to an attractive rust; the ruby buckwheat (E. grande var. rubescens), a mix of fresh pink and drying flower heads, with green leaves curling to show pale undersides; and the spindly stalks of the naked buckwheat (E. nudum) are still attracting bees. The watering regimen applied at these zones of native plants in the Demonstration Garden is a useful general guideline for drought-tolerant native species. We use a drip system with one two-gallon emitter on each specimen. We turn on irrigation in mid- to late June as the summer heats up, and water once every two weeks for 30 minutes, delivering around a gallon to each plant. Plants are watered throughout their first two summer seasons; for their first summer, newcomers planted in the fall or spring get additional hand-watering so they are watered weekly, and for the second summer, they receive the twice-monthly automated drip. After two summer cycles, emitters are removed from the most xeric specimens and they get no further scheduled irrigation. With this regular but spare watering, plants retain garden-worthy flowers and foliage longer than they would in the harsh outback. Don't overwater. No amount of irrigation can coax a summer-dormant plant into bursting forth anew with fresh blooms and foliage. In fact, the best way to kill a heat-struck plant is to withhold water for weeks and then suddenly shock it with a midsummer flood. Take care to research the specific water needs for the particular plants in your own garden; not all natives are drought-tolerant. No stress, please. Peak summer is not the time for overzealous pruning or fertilizing, both of which can force the plant to put out new growth when it's least likely to survive. Deadhead spent blooms (or let seed heads develop for birds), but resist the urge to completely whack back leggy growth and browning foliage. You can tidy up in the fall. Mix it up. Many non-native garden favorites from compatible dry-summer climates have been cultivated over time to bear up under heat stress. By all means, mix natives with non-natives, perennials with annuals—just be sure to group plants with similar water needs together. Plan for succession. Early-season perennial bloomers, such as redbud, ceanothus, and bush lupines, give way to summer penstemons, salvias, yarrows, buckwheats, and a host of other beauties which provide color and interest well into late fall. Good places to start your research include the California Native Plant Society gardening website http://www.cnps.org/cnps/grownative, and our Butte County Master Gardeners website http://ucanr.edu/sites/bcmg/resources/drought. By Laura Lukes, Butte County Master Gardener, January 20, 2017. 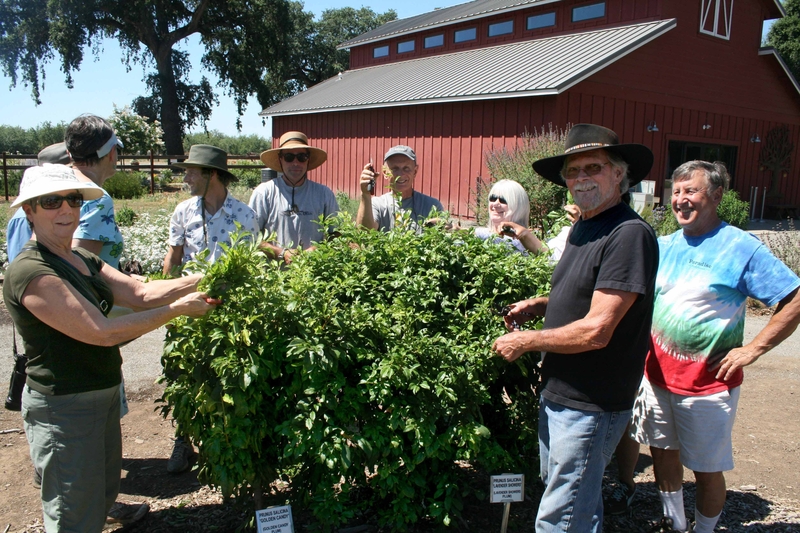 Twice a year, the Butte County Master Gardener Program offers a series of practical, hands-on gardening workshops. The Spring 2017 Workshop Series is “geared around sustainability practices and this year we have added ten new workshops,” said Kay Perkins, co-chair of the Butte County Master Gardeners Public Education Committee. These workshops are designed for the home gardener interested in creating sustainable landscapes, starting plants from seed, harvesting rainwater, learning propagation and composting techniques, and much more. A total of nineteen workshops are scheduled between February 9th and June 14th. All workshops are free of charge, with one exception: there is a small materials fee for the May 9th “Building Compost Bins” workshop. “We are particularly excited about the new topics we've added, and the quality of our presenters,” added Ms. Perkins. “In addition to our knowledgeable Master Gardener speakers, this year we have partnered with local experts” for the workshops on worm composting at the Durham Worm Farm, hardscape materials at the Sutherland Landscape Center, and the Native Plant Walk on the CSU, Chico campus. New topics the Spring include a successful method to remove thirsty lawns; weed identification and treatment; how to espalier and graft fruit trees; planning landscape hardscapes, and building raised beds and hoop houses. The workshops are fully described on the Butte County Master Gardener website at www.ucanr.edu/sites/bcmg. 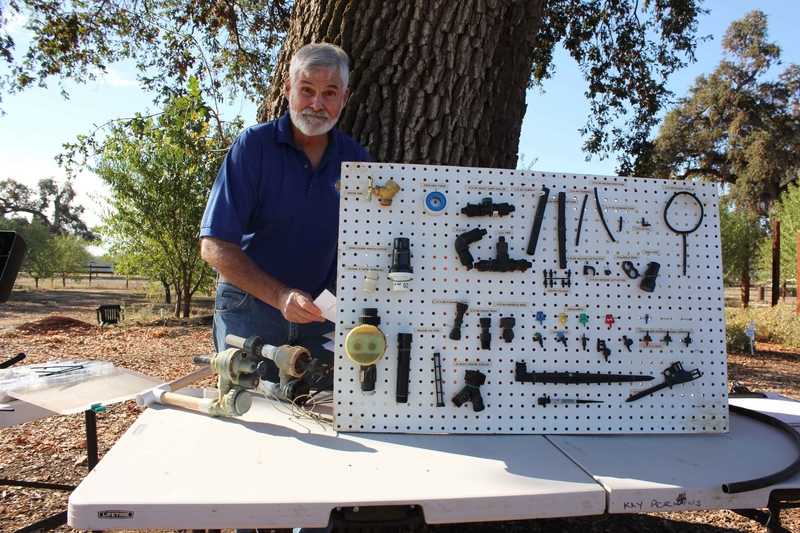 Upcoming workshops will be highlighted alongside the Master Gardeners' Real Dirt column in the Home & Garden section of the Chico Enterprise Record. 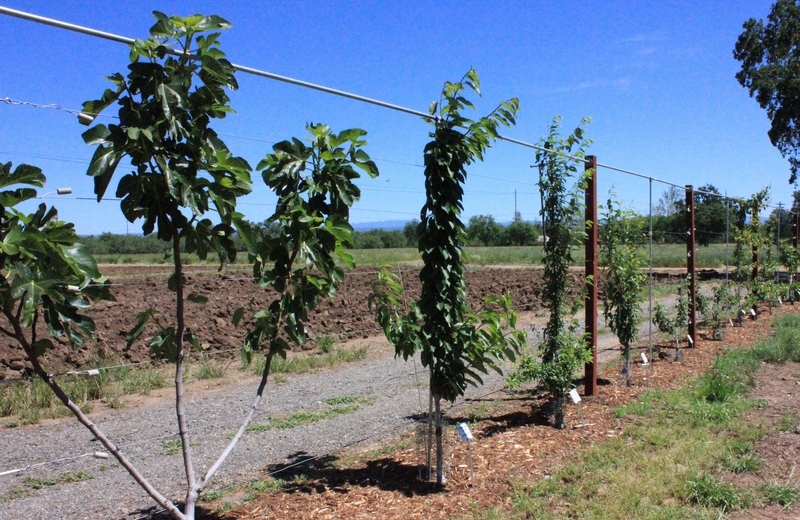 The primary venue for these workshops is the Master Gardener Demonstration Garden, located at the Patrick Ranch Museum on the Midway south of Chico. 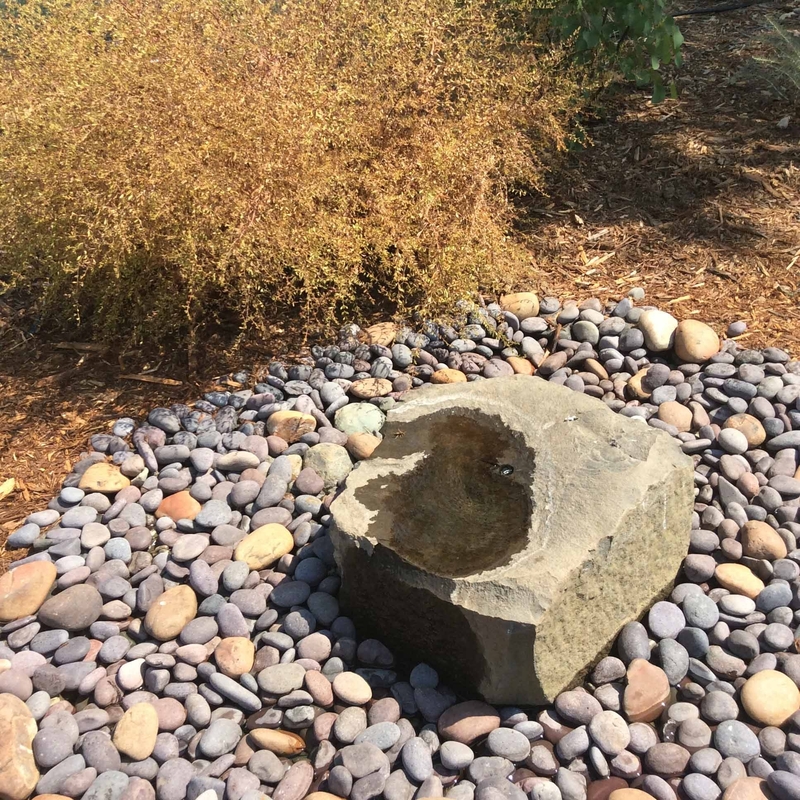 The Demonstration Garden features plants that thrive in a Mediterranean climate, and are particularly well suited for our conditions in Butte County. All of the plants in the Demonstration Garden do well in hot, dry summers with little water, and provide habitat for local wildlife, especially various pollinators. The Audubon Society has certified the Demonstration Garden as a wildlife habitat. In addition to the Demonstration Garden location, some of the workshops will be held inside Pat's Barn at the Patrick Ranch Museum, and a few will take place at private residences. Details are available on the website. The workshops are listed below. Registration is required at www.ucanr.edu/sites/bcmg/events/workshops. Due to space considerations, registration is limited. The popular biannual Master Gardener Plant Sale will be held in April. Native and Mediterranean plants appropriate for our climate, propagated by the Master Gardeners, will be offered for sale. The day will also feature free tours of the Demonstration Garden. The exact date of the Plant Sale will be posted on the Master Gardener website in early February. All proceeds from the Sale support the Demonstration Garden and Master Gardener community outreach projects in Butte County. Butte County Master Gardeners are University of California-trained volunteers whose purpose is to extend research-based knowledge and information on home horticulture, pest management, and sustainable landscape practices to the residents of Butte County. California's Master Gardener Programs are part of the University of California's Division of Agriculture and Natural Resources. Butte County Master Gardeners offer garden advice and assistance through their Hotline at 538-7201, at select community events, and at the farmers markets throughout Butte County. Please visit their website to find out more about them and their educational programs: www.ucanr.edu/sites/bcmg. The Master Gardeners look forward to seeing you at their workshops, tours, plant sales, and other educational events and venues! By Cindy Weiner, Butte County Master Gardener, June 3, 2016. Many people are interested in making their gardens more water-efficient. This often involves replacing lawns and other water-loving plants with those that are less thirsty. Many California native plants are good choices for residential gardens, but sometimes when you're looking at a one-gallon pot in a nursery it is difficult to envision that plant in its fully-grown state. Visiting local gardens that use native plants in their landscaping is one way to see what a plant looks like at maturity and how it fits in with other plants. Luckily in the Chico area we have access to several public gardens featuring native plants. 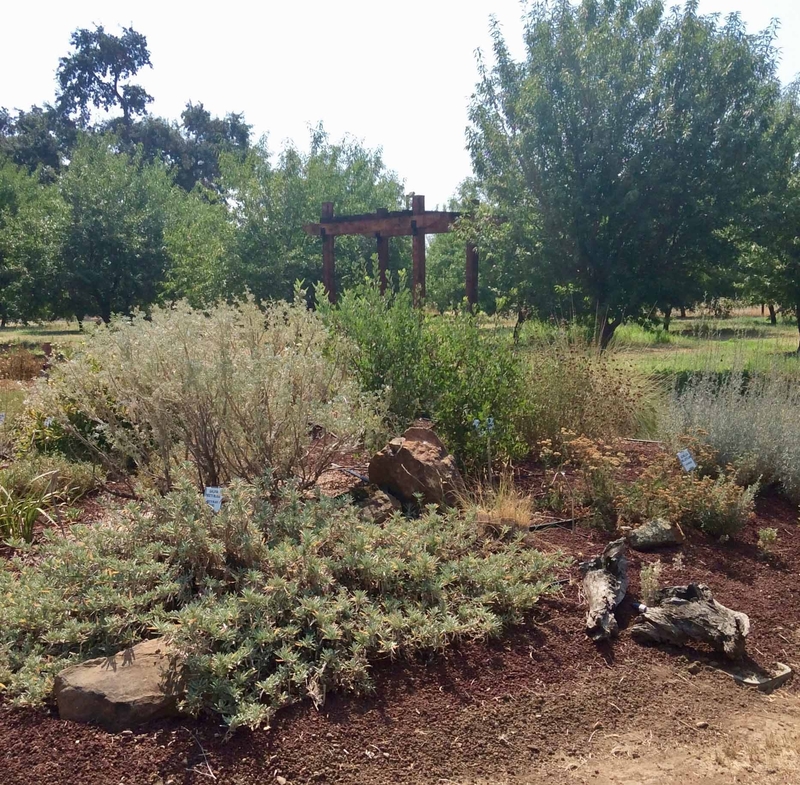 The Alice B. Hecker Native Plant Garden at Chico Creek Nature Center was planted in the late 1980s. 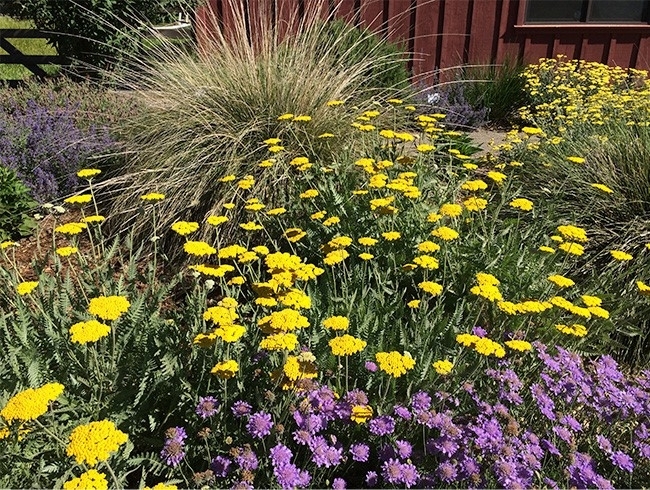 While some plants have been replaced over the years, many are original and were propagated by members of the Mount Lassen Chapter of the California Native Plant Society. Some of these, like leather oak and California nutmeg, are rarely seen in gardens. The garden beds represent different local habitats, such as foothill or riparian. Fully-grown Oregon ash, elderberry and redbud trees provide shade for California bush anemone, Western bleeding heart, pipevine and mock orange. Spreading daisy, soaproot and several species of sage grow in sunnier areas. This garden demonstrates how a native garden will look after a couple of decades of growth. 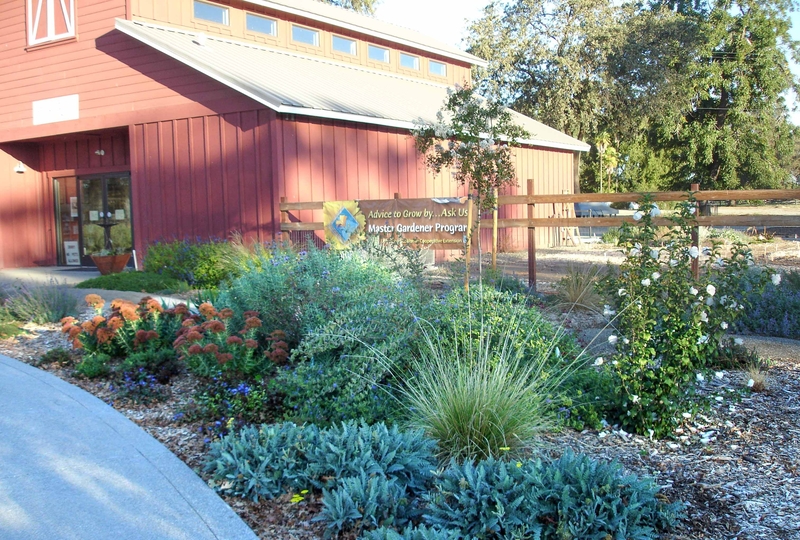 The gardens at the Gateway Science Museum (at 625 Esplanade in Chico) include a native plant pollinator garden planted in 2013. These plants were chosen especially for their value to birds, butterflies, bees and other insects. Many of the plants provide nectar or pollen for the adult pollinators. Some insect larvae feed on leaves. The garden includes many different species of sun-loving sages and buckwheats. Showy milkweed is the host plant for larval monarch butterflies, and several monarchs go through complete metamorphosis in the gardens each year. The Gateway Gardens have been so successful at attracting both honeybees and native bees that it is one of 60 gardens in the state chosen to participate in the Urban California Native Bee Survey conducted by the UC Berkeley Urban Bee Lab. This is an established, but still young and developing, garden. There are two native plant gardens at the Butte County Master Gardeners Demonstration Garden at Patrick Ranch. 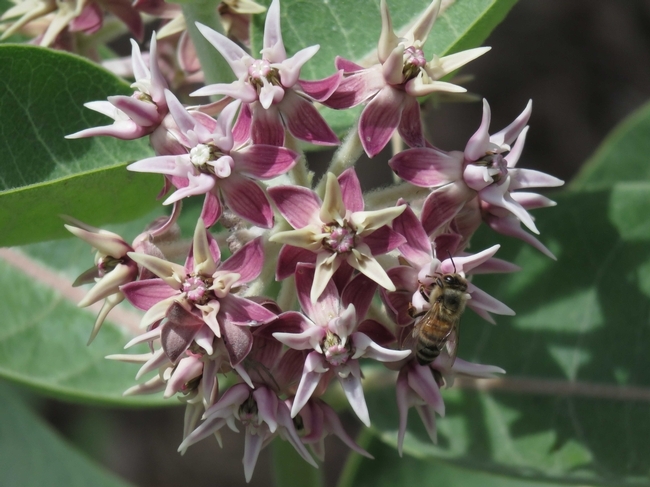 The Native Plant Garden was planted in March of 2015 as a showcase for native plants that are beautiful in bloom but are also easy to grow and easy to find in native plant nurseries. Three different species of penstemon provide brilliant color in the spring. 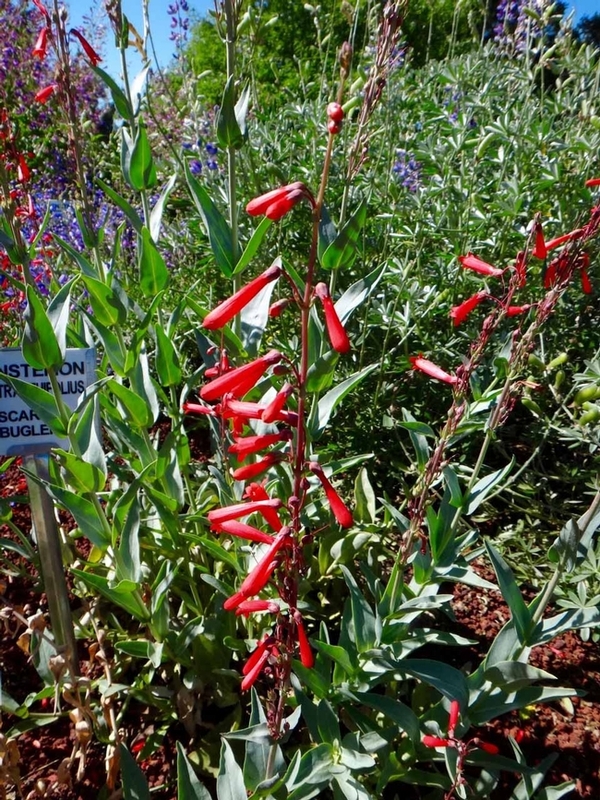 Three species of buckwheat flower into early summer, and California fuchsia attracts hummingbirds from summer to fall. The Native Plant Wildlife Garden was planted in December of 2015. Each plant in this garden is attractive to wildlife as a source of food or shelter. Some of these plants can be a little tricky to grow or hard to find. 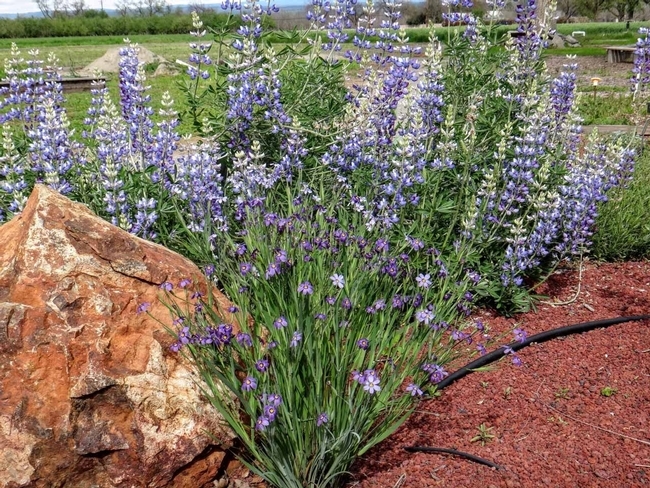 Some of the more unusual plants here include woolly blue curls, hot rock penstemon and brittlebush. Public native gardens such as these are an excellent resource for anyone planning a more water-wise home garden.